You’d think by now people would know to never believe a single word the Left says about Trump (or about anything) without first verifying. It doesn’t matter what the story is. If they tell you Trump ate pancakes for breakfast, you should just assume he had waffles until evidence proves otherwise. That’s how blatant and pervasive the lying has become. We were treated to another example of this yesterday when the President released his budget. Immediately, the Left went into Apocalyptic Outrage Mode because it cuts a number of programs, agencies, and commissions that mostly exist just to provide paychecks to useless bureaucrats. It also slashes funding to “the arts” and PBS, which provoked a lot of weeping and wailing about the impending unemployment crisis on Sesame Street. Even on this issue, as unimportant as it is, the Left is lying. Sesame Street is on HBO now. So if you’re really concerned about the continued employment of Big Bird, you need not worry. As for cutting “arts” funding, I think I speak for the average American when I yawn dismissively, roll my eyes, and proceed to not care in the slightest. All of this pales in comparison, however, to the outrage over the fact that Trump is planning to “end Meals on Wheels,” thus directly causing the death and starvation of our nation’s senior citizens. Social media exploded, and is still exploding, with millions of tweets and lengthy Facebook diatribes castigating Trump and the evil Republicans for defunding the program. Dozens of articles were written with headlines like “Trump Just Announced Plan to End ‘Meals on Wheels’ for Seniors,” which, if you didn’t know any better, would make you think Trump just announced a plan to end Meals on Wheels for seniors. The only problem with all of this is that it’s total nonsense. Trump did not end Meals on Wheels. He didn’t do anything close to ending Meals on Wheels. His budget doesn’t mention Meals on Wheels. Instead, his budget cuts a program called the Community Development Block Grant. 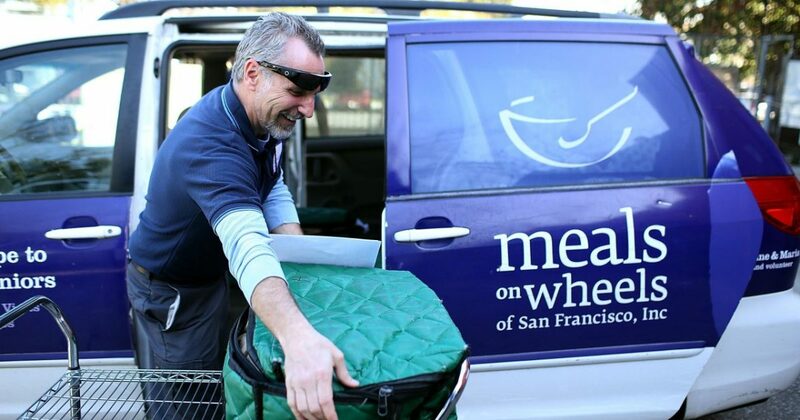 This program, which is often abused, partially funds Meals on Wheels. But the funds it gets from the CDBG are small in comparison to the funds it gets from sources like the Older Americans Act, which remains unscathed by Trump’s budget. Meals on Wheels also subsists largely on private donations. So, it’s not close to accurate to say that Meals on Wheels is “ended.” It’s not even accurate to say that government funding of Meals on Wheels is ended. Rather, one single source of government funding to the program is ended, while may other sources, including private ones, will continue. Yet even as the real story surfaces —a story anyone could have figured out for themselves simply by reading the budget proposal — the Left continues to wring its hands and shake its finger at conservatives who have so far refused to weep openly about a partial cut to a charitable program that’s only partially funded by the government. As is always the case when the subject of entitlements arises, suddenly the godless Left has decided that the government must follow a Biblical mandate to help the poor, and anyone who disagrees with them is a “bad Christian.” Just imagine how they’d react if Trump actually cut entitlement spending, instead of just trimming around the edges like this. Twitter has been full of Leftists insisting that Jesus would support funding for Meals on Wheels, therefore we Christians have a duty to oppose Trump’s plan. I have been personally lectured dozens of times over the past 24 hours about my lack of Christian charity and my refusal to abide by Biblical teachings on this subject. It’s fascinating that the very people who normally dismiss the Bible as a book of primitive fairy tales will suddenly appeal to its authority on an issue like entitlement spending (or refugees or immigration). Take note of two words that keep appearing. Namely, “you” and “give.” You need to give. You. Personally. Physically. Of your own free will and volition. Christ is not outlining a budget proposal or advocating for a certain form of government. He did not say, “I was hungry and you lobbied your political representative to write a piece of legislation that will appropriate money from your neighbor and, after a portion of it is siphoned off for other purposes, and much of it is wasted on fraud and abuse, a certain small percentage was used to fund programs that would eventually give me food.” The New Testament would be, like, 600 pages longer if this is how Christ approached things. Luckily, He was far more direct. What He actually said was simple: “I was hungry and you gave me food.” As in, you saw a hungry person and right there on the spot gave him food. Or, knowing that there are a lot of hungry people in your community, you, through your own efforts, took your own money and gave it to charities that help the poor in your neighborhood. That is what the Bible tells us to do. And do it we must.